Following on from the Winter Aikido Yuishinkai Seminar this weekend, our Chief Instructor, Peter Kelly Sensei, visited our dojo on Wednesday as guest instructor. Given our dojo’s particular interest in studying applied kokyu ho applications, Peter Sensei took us through a wide variety of kokyu nage techniques. Peter Sensei also examined kokyu nage in the context of a direct strike to the face (ganmen-tsuki), which is an attack we have just started exploring at the dojo in recent months. For those not familiar with kokyu ho applications, they constitute what is often referred to as the 4th pillar of Aikido. 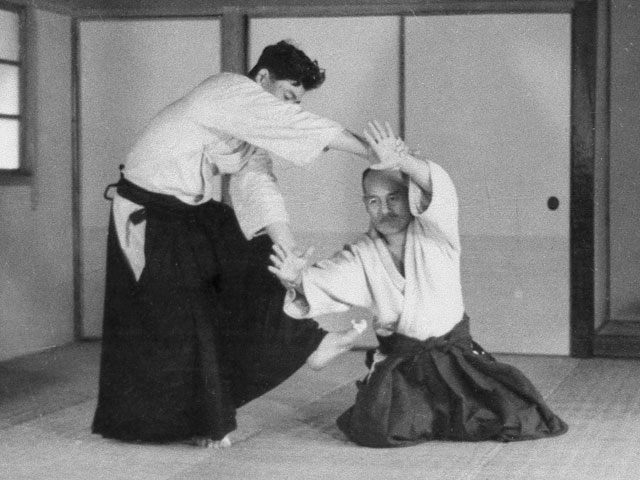 Kokyu ho techniques in the early years of our budo were considered secret techniques not to be shared publicly outside the dojo. The reason for this is that kokyu ho is the method of generating power in our Aikido throws and applications. 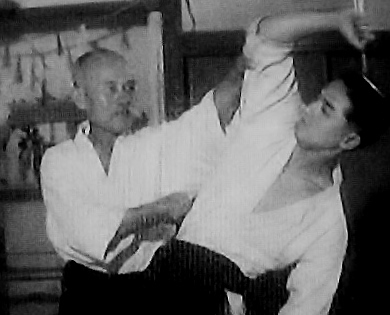 Further, while there is a whole of branch techniques in Aikido called kokyu nage, in reality all techniques at their essence require kokyu ho to translate them from cooperative to applied practice. In addition to paired practice, Peter Sensei also provided instruction on solo heavy bokken exercises to help develop kokyu ho through vertical-horizontal plane movement. While too difficult to explain in a blog, the exercises will be added to the dojo’s regular bokken (wooden sword) exercises. A huge thank you to Peter Sensei for taking the class. It’s a major commitment from Peter to visit Brisbane from Tasmania, not the least of which is time spent away from his family. I think I speak for everyone when I say how much we really appreciate everything Peter is doing to lead our school in its new direction. Also thanks to Griffith Aikido Institute for arranging Peter’s seminar in Brisbane in the first place. Last but not least, thank you to everyone who attended. Plenty of instructional videos to come in the next few weeks to make sure we don’t forget what we were shown. A standard feature of our practice at the dojo is to train with static hand grabs where strong physical resistance is applied by the uke (the attacking partner). There are many benefits to this type of training, not the least of which is that we have found it to be an effective method of gaining a practical appreciation of the fundamental principles that underlie Aikido based movements and body structure. Please be assured that I am not in any way derogating kotai (static) practice where the uke offers full cooperation or at most a dead weight. Far from it and in fact we also include this practice at the dojo. However, if one only practices in this way the risk is the development of an unstated understanding that Aikido can only operate in a static situation with a cooperative uke. The below video is an informal demonstration of a number of Aikido options for dealing with static hand grab attacks where the attacker is using high levels of physical strength. 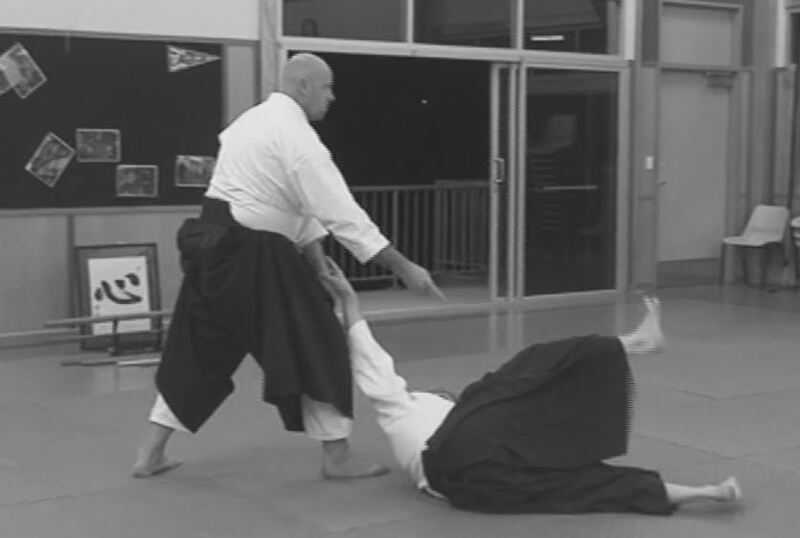 The demonstrated techniques are performed slowly and with every effort made not to respond with physical strength solutions, but rather responses based on Aikido principles, including those associated with kokyu. The possibility of using atemi (striking) was intentionally excluded to make the exercises more difficult. Please note the techniques and attack options are not intended to be exhaustive, merely illustrative. The attacks were selected randomly based on what popped into our heads at the time. The Aikido responses were similarly not pre-planned and were selected at random based on what “felt right” to each of us in each circumstance. Finally, a huge thanks to Eden for dropping down to the dojo and recording the video. Also to my training partner, Jeremy, who graciously agreed to appear in the recording and basically “wing it”. The challenge of modern aikido is that it exists in a world where most of us typically don’t operate under regular physical load in our daily lives. This impacts on the way we move and the body quality that we adopt in making those movements. By way of comparison, the Founder of Aikido was a farmer and was use to working in a very physical environment for most of his life. The result is that what was natural movement and posture for him, and many of the masters of past, is well … not that natural for us. 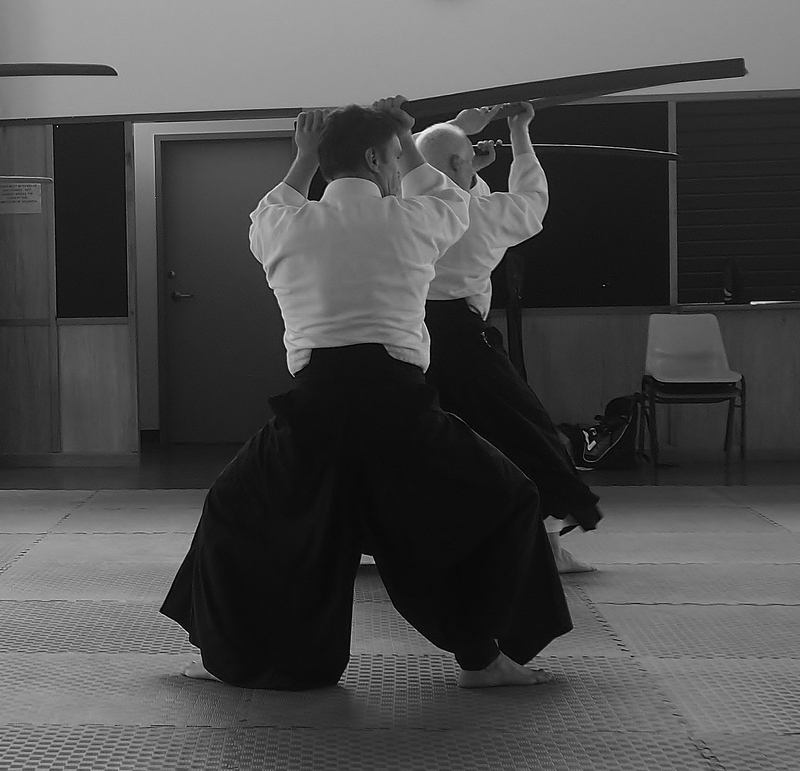 Recently, a number of us at the dojo have resolved to include heavy bokken training, through the use of a suburito, as part of our regular weapons practice. For those not familiar with the suburito, it’s a heavy bokken that is thicker at the blade than the handle. It is also longer in length than the standard bokken. The benefit of using a suburito for bokken work is that it is a simple and effective method of bringing load into our Aikido practice. To move the suburito for any length of time (and we are talking minutes) relies on the practitioner abandoning strength based methods and instead using the “natural” principles of posture and movement that form the basis of our Art. The principles to which I refer include being centered, “heaven man earth”, centerline movements, sinking, using major muscle groups to ignite smaller ones, weight transference, “feet move hips”, “silk-reeling”, “yin-yang”’, keeping knees off lock, etc. When these principles are applied, the suburito can be moved with minimum effort. The effect on bokken kata practice when using a suburito is also quite interesting. I think it would be fair to say that there is an injection of martial integrity introduced into the kata movements. This does not occur because of the weight per se, but rather the disciplined way that you have to move and hold your posture throughout to allow the additional weight of the bokken to be moved with minimum effort. For an example as to how the Aikido Yuishinkai kata “free wielding sword” looks with a heavy bokken see the below demonstration by our Chief Instructor Peter Kelly Sensei. We have also found that the internal aspects developed using the suburito flow directly on to our unarmed practice. Particularly noticeable benefits include a reduced urge to “muscle techniques” when encountering resistance. The natural reaction is to instead relax and sink. A greater sense of centered movement, both as uke and nage, is also very evident. Please be assured that I’m not suggesting that the suburito is the be-all and end-all of effective Aikido practice. There are lots of incredibly proficient Aikido practitioners out there who have never even picked up suburito. All I’m saying is that if you are seeking to widen your current training methods for developing the internal principles underpinning our art – its worth a try. In the meantime, if you’re going to pass me a bokken….better make it a big one. The notion of ki and its role in Aikido training can be one of the most confusing, obscure and sometimes divisive concepts in our Art. Finding an understandable definition of ki can be quite challenging to say the least, particularly as its meaning differs depending on the context in which the term is used. Cultural and language barriers also pose a challenge. So, if I’m reading this right, what is being suggested is that ki in Aikido practice should be looked at as the highest state of “perfect balance” that can be acquired through ego free training that focusses on the basics. Sounds like a pretty good way to train to me. All the best in your training in 2015. Its always interesting to experiment with Aikido applications. Sometimes the experiments work out, sometimes not. Its all part of the learning experience. With this spirit in mind, I recently decided to participate in a test to see if Aikido principles could be applied to break boards normally reserved for students of striking arts. Now I should state from the outset that I have never previously tried or even considered breaking a board with my hand. The chance of being attacked by a pile of lumber just seemed too remote to bother with such a proposition. I resolved to attempt to break a board with an open palm downward atemi (strike) using the suwai sho 2 movement from the Aikido Yuishinkai junan taiso. This taiso exercise is something most Aikido Yuishinkai students do at the start of just about every class. Most importantly for the subject experiment, it’s an exercise that generates power from your centre in a downward direction. Throwing caution to the wind, I tried to break a (new) JOLS re-breakable board designed for advanced karate students. Of some concern was that, according to its packaging, the board required 114kg of impact power to break. Further, there was internet commentary to the effect that experienced striking art students often had difficulty breaking the board. This information didn’t inspire me with confidence. My first attempt failed miserably and painfully. Fuelled by trepidation, I used the one strategy that could never work – I resorted to physical strength. On contact, my palm felt like it was going to explode and the throw back vibration went through both my hand and arm so hard I’m sure my ancestors felt it. There was no doubt some well deserved bruising was coming my way. Just prior to my second attempt, I resolved this time to rely only on fundamental Aiki principles – standing straight, relaxing completely, moving from my centre, keeping weight underside, dropping through the elbow and maintaining an unbendable arm. I also removed from my mind the fact that the point of contact with the board was going to be my still smarting hand. I’m pleased to say my hand this time went through the board like it was slicing butter (see video below). I didn’t feel any pain or reverberation at all. After breaking the board a few more times, I then had a go at breaking 2 boards which required 143 kg of impact power to break. Succeeded again! So there you go – Aiki principles like moving from your centre, weight underside, unbendable arm and relaxed power really do work! Credits: Big thanks to Robert Monro for his help in setting up, support and encouragement of the experiment. Also to Darren Philips for his impromptu recording of the exercise.